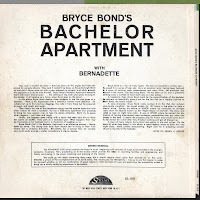 For a brief period of time Bryce B. Bond was known as The Night Mayor of Norfolk. It says so on the back of the LP, but it also says the same thing in two issues of Billboard; one from 1959 the other from 1960. As terrible as the record is I am surprised to read he released at least another five on Folkway records. 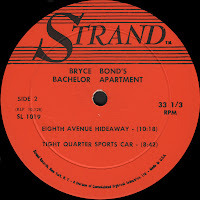 In 1960 Bryce moved from WNOR-AM in Norfolk, VA to WVOX-FM in New Rochelle, NY. Billboard described his then new program as an "early bird" show and that he shared the MC position with PD Mort Dean. Mr. Bond himself said that rock n' roll was banned form the program. This was no surprise of course. He'd put the kibosh on the rock at WNOR earlier. He was quoted at length on the topic a year earlier. "...As the night mayor of Norfolk, I have put a ban on rock and roll , rhythm and blues, and hillbilly music on by six and a half hour nightly show (midnight to 6:30 AM.) 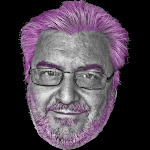 I play nothing but the very best in quality standard music, old and new, plus good progressive jazz. . . Wt at WNOR are very proud of having 95 per cent of the adult audience, the buying audience." He comes off more than a tad arrogant no? In 1961 Strand records released their "Bryce Bond's Bachelor Apartment" LP. they advertised that in Billboard too. It was priced at a whopping $2.98. In January of that year Bryce was promoted from mere DJ to Program Director of WVOX. I lose track of him a bit there and he reappears on a New York jazz station WTFM-FM 103.5 in 1966 hosting the Moondial program. Philco was the original sponsor of that program at least starting in 1962. 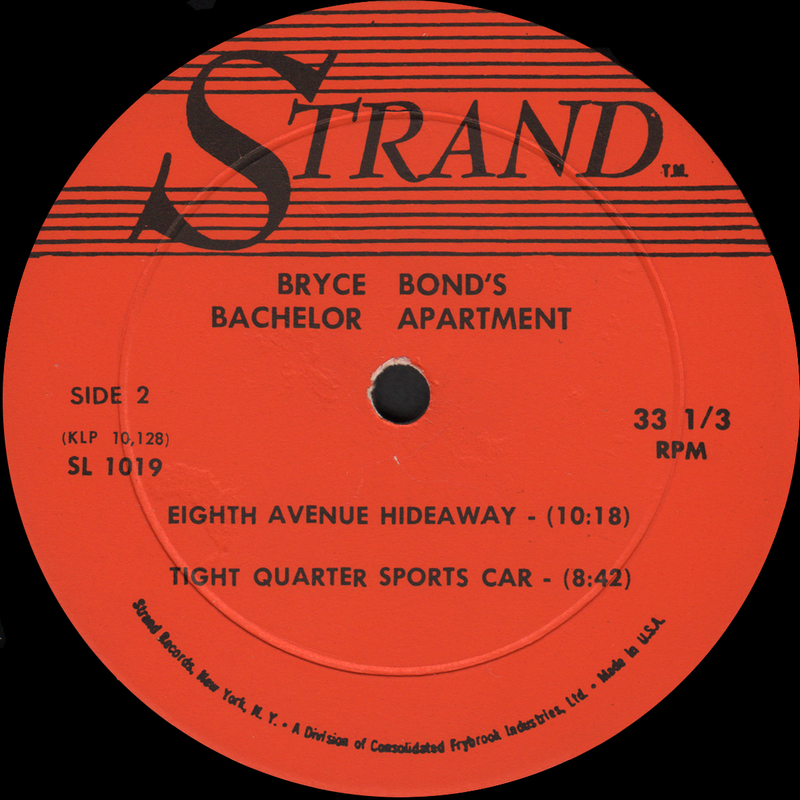 Bryce appears by name in a WTFM advertisement run in New York magazine in 1970 so we know he was with that station for at least four years. 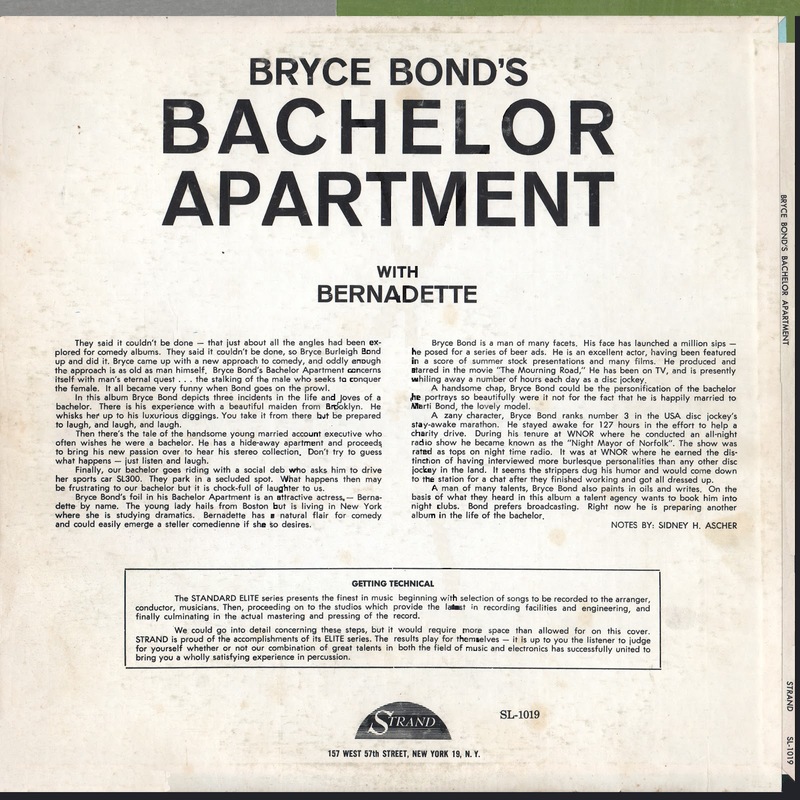 I had assumed that he began in 1964 or so but a 1962 issue of Billboard has Bryce on WTFM hosting "Moondial" in 1962 and in 1966. This is incongruous because another issue plainly says that Alan Grant took over as host in 1963. 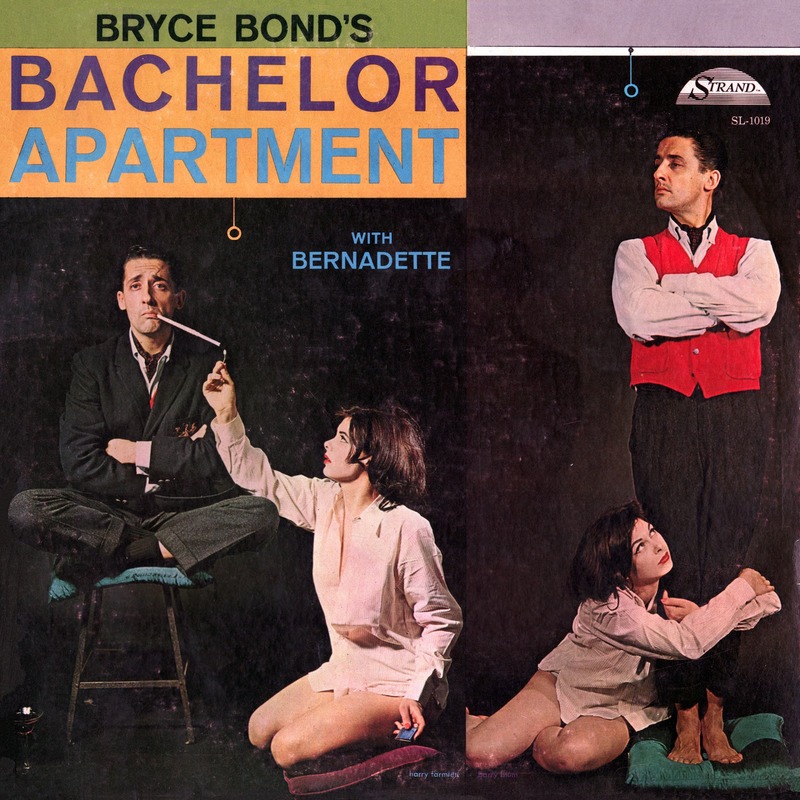 0 comments on "Bryce Bond With Bernadette - Bryce Bond's Bachelor Apartment 1961"